Avis Budget Group, Inc. will connect an additional 75,000 vehicles to its cloud-based, next generation platform through the installation of in-vehicle telematics devices provided by I.D. Systems, Inc. The new agreement builds on the successful deployment of 50,000 units during the past year. I.D. Systems’ wireless in-vehicle management system permits two-way data communications between a vehicle and Avis Budget Group’s cloud-based system and its mobile apps, effectively “connecting” the car. 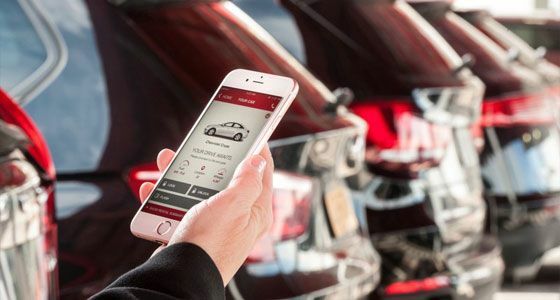 Connected vehicles allow Avis customers to manage their entire experience through the Avis mobile app, including choosing the type of vehicle they want to drive and extending the duration of their reservation. Even returning a vehicle is automated with connected technology, allowing customers to drop off their vehicles through a simple tap in the Avis app. In addition, the connected fleet offers Avis Budget Group significant opportunity to streamline operations and reduce costs. This includes real-time inventory counts, mileage management and automated maintenance notification. Having a fleet of connected cars enables more sophisticated tracking of idle vehicles, and automated processing of cars ready to rent. The new units will support both the Avis and Zipcar mobile apps, meaning Avis Budget Group can more easily position vehicles across the brands to meet periods of high demand or for other business reasons. They also enable utilization in Europe, and Avis Budget Group will begin testing them in select markets in 2019. “This new agreement continues our many years of working hand-in-hand with Avis Budget Group to develop, build and implement innovative technology that enables Avis Budget Group to achieve their connected fleet and business transformational goals,” said Chris Wolfe, chief executive officer of I.D. Systems.